Local organizations stepped up to help the homeless find a warm place to sleep. Following the cold front that pushed through the state this week, temperatures were still chilly throughout South Florida on Thursday morning. Some areas dipped into the 30s and 40s. Luckily, local organizations stepped up to help the homeless find a warm place to sleep. The Source in Vero Beach is the only outreach ministry that serves as a cold weather shelter in Indian River County. Normally, the organization operates during the day with a wide range of services. Wednesday night and into Thursday morning, about two dozen people checked in to the cold weather shelter. Clients received a warm pillow and blanket to take with them, hot breakfast, coffee, hot showers and access to laundry facilities. The Source usually opens up as an overnight shelter when the weather is bad, such as heavy rain, storms or extreme cold. "A lot of the folks we serve are not in great health. The heat wears on them and when the temperatures drop and it's cold, they get sick quicker," said Rob Morrison, employment case manager. Eric Smith, who now works as a support staff member, used to be homeless in the area and understands the hardships of living in the elements. "I considered it a beat down. It really beats the body down," he said. "Beats you mentally and physically. It's horrible having to sit out here not knowing where you're going to sleep on a day-to-day basis." Services at organizations like The Source go beyond just daily needs. 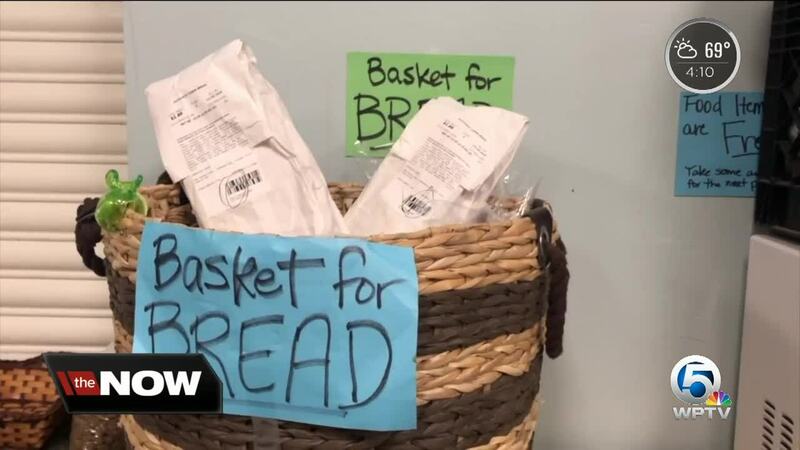 "We also have our Dining With Dignity program, which is a 12-week culinary training program where we put people to work in our community in restaurants kitchens and stores," said Morrison. 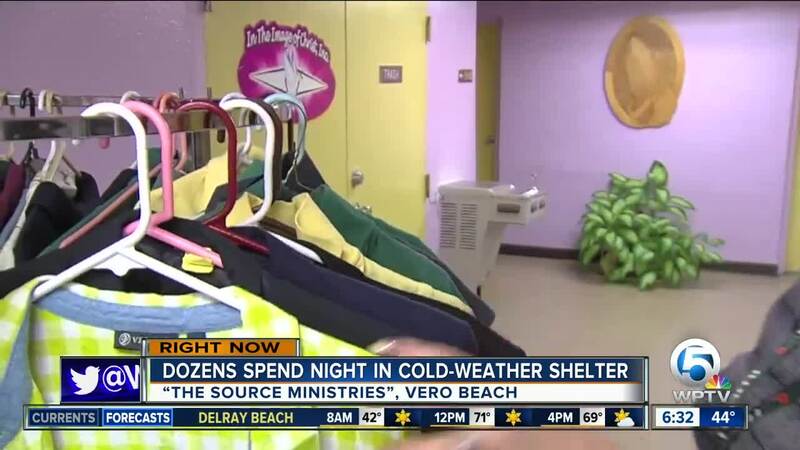 The Source isn't the only cold weather shelter open on the Treasure Coast. The Image of Christ in Fort Pierce also opened up their doors to those in need overnight with cots, blankets and food. For more information on Image of Christ, call 772-461-7788. They will remain open through the day. Right now, The Source is in need of monetary donations as well as toiletries blankets, jackets, pillows and sweaters to replenish their supply. Click here to learn more about how you can help .